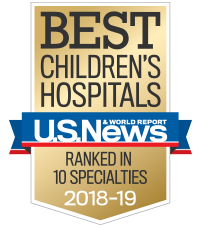 At the Aflac Cancer and Blood Disorders Center of Children’s Healthcare of Atlanta, we know that a child with cancer or a blood disorder has unique needs and deserves specialized pediatric care. We’ll be by your side from diagnosis onward, to care for your whole child and family. The Aflac Cancer and Blood Disorders Center of Children's Healthcare of Atlanta is proud to have participated in the chimeric antigen receptor (CAR) T cell clinical trials for the treatment of pediatric CD19 positive acute lymphoblastic leukemia (ALL) sponsored by Novartis, that resulted in U.S. Food and Drug Administration (FDA) approval of this ground breaking therapy (Tisagenlecleucel—trade name Kymriah). We are one of a limited number of centers designated as a certified treatment site. Our team has developed expertise in the delivery of this therapy, treating patients across Georgia and from surrounding and remote states. In addition, our research team is adapting this concept to target other brain tumors and neuroblastoma, which we hope to have in open clinical trials to provide options to patients with resistant disease. Current therapy options for patients with relapsed T-ALL or T-LLy yield only a 30 percent complete remission rate. The addition of everolimus, an mTOR inhibitor with activity in T cell disease, may improve those rates. The study's main goal is to determine a safe pediatric dose of everolimus and establish a safety profile for everolimus when given in combination with standard chemotherapy. Relapsed and refractory non-central nervous system (non-CNS) solid tumors have poor outcomes and novel therapies are needed. We hypothesize the combination of gemcitabine and nab-paclitaxel, an albumin-bound, solvent-free taxane that allows higher dosing and shorter infusion duration than solvent-bound taxanes, as well as increased drug delivery to tumors through increased albumin-initiated transcytosis, will improve the anti-tumor efficacy observed with gemcitabine and docetaxel in relapsed and refractory solid tumors. The study's main goal is to determine a safe pediatric dose of nab-paclitaxel, in combination with gemcitabine, and define a toxicity profile for this combination of chemotherapy. Independent of cholesterol inhibition, simvastatin has been found to inhibit signal transducer and activator of transcription 3 (STAT3). STAT3 is a protein that stimulates chemotherapy resistance, which is a major cause of treatment failure and death among pediatric and adolescent patients. The study's primary objective is to define the toxicity of high dose simvastatin in combination with chemotherapy to treat solid tumors with abnormal STAT3 activation by restoring tumor sensitivity to routine chemotherapeutic agents. Abemaciclib represents a selective and potent CDK4/6 dual inhibitor with broad anti-tumor activity. There is existing biologic data demonstrating dysregulation of the CDK4/6 pathway in pediatric high-grade tumors, including malignant brain tumors. Presently, there are not any established treatments that provide effective therapy for patients with progressive disease or patients with newly diagnosed diffuse intrinsic pontine gliomas (DIPG). Abemaciclib is an attractive agent for these patients, given the strong preclinical data on blood-brain barrier penetration, oral bioavailability and its anti-tumor activity. The study's primary objective is to estimate the maximum tolerated dose of abemaciclib in this patient population. Sirolimus is a potent immunosuppressive drug that has been found to inhibit cell growth and have anti-tumor activity in previous studies involving pediatric solid tumors. This Phase II study will investigate the time of progression in children with recurrent and refractory solid tumors, including brain tumors, when oral sirolimus is given in combination with metronomic chemotherapy. The Aflac Cancer and Blood Disorders Center is one of the leading childhood cancer and blood disorders programs in the country. Combining the latest proven technology and research with a caring, child-friendly approach, makes the Aflac Cancer Center a top choice for the treatment of common and complex cancer and blood disorder conditions. The February issue of Nature journal will feature Wilbur Lam, MD, physician at the Aflac Cancer and Blood Disorders Center of Children’s Healthcare of Atlanta, for developing a new technology that helps physicians study bleeding holistically. With support from his biomedical engineering lab at Emory University School of Medicine and Georgia Institute of Technology, Dr. Lam has developed microchip technology that creates an artificial blood vessel that has the capability to open up and bleed, allowing physicians to better understand what happens during the clotting process for patients with blood disorders. His research is funded by a National Institutes of Health (NIH) U54 grant.